VERSIÓN DE INMEDIATA POSGUERRA PRÁCTICAMENTE IDÉNTICA AL MODELO 1945 DEL QUE SE HICIERON MUY POCOS EJEMPLARES. 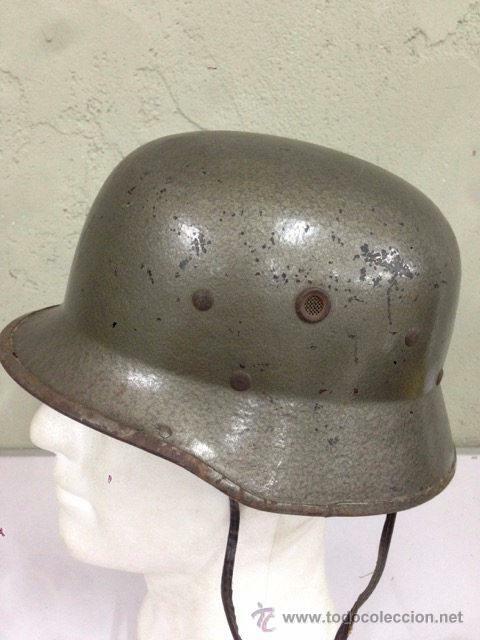 CASCO MODELO 1934 DEL EJÉRCITO DEL PERÚ. Hora oficial TC: 21:10:46 TR: 129 ms.